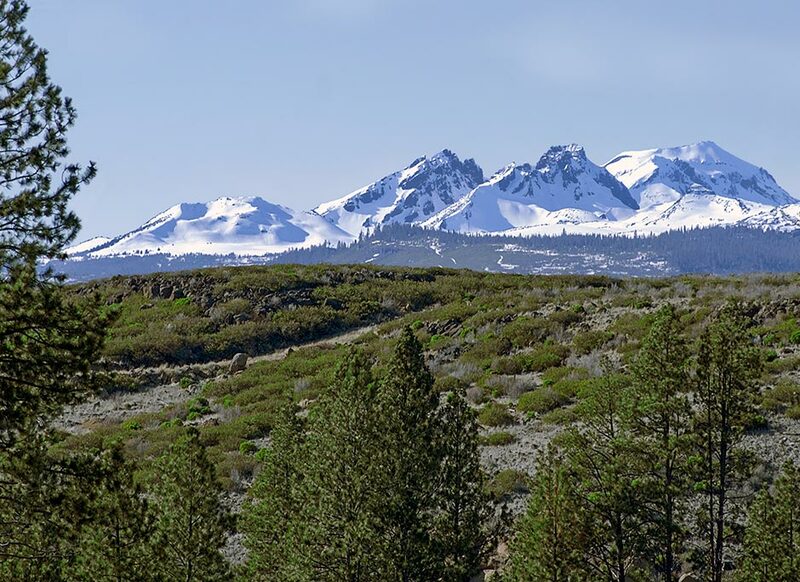 Bend, Oregon gives you excellect views of Broken Top and The Three Sisters. From the left, Broken Top (9,175 feet), South Sister Faith (10,358 feet), Middle Sister Hope (10,047 feet),North Sister Charity (10,085 feet)"...these are the Three Sisters Mountains in the Cascades of Oregon + Broken Top. A chilly February scene outside of Bend. Click here for more information about CANVAS TREATMENT of this image.